One of the hardest parts of learning our activity can be the extensive vocabulary that is required. Below are glossaries compiled by the curriculum committee to help coaches better learn the many terms they’ll need to know across the events, and for tournaments. 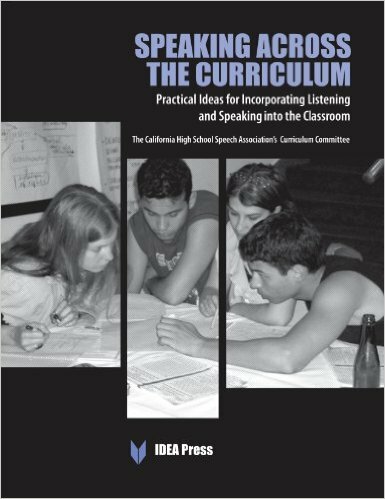 Speaking Across the Curriculum gives teachers ready-made speaking and listening activities that can be infused into any curriculum. Over 50 activities help educators encourage debate and discussion and teach students speaking and listening skills. These activities help students build active listening skills, become skilled at persuasion, speak spontaneously and learn to analyze and evaluate arguments and sources both online and in print. All of these activities are Standards-based, ready to merge into lessons that respond to the Common Core.